As the category evolves, direct-to-consumer sellers are no longer the only players to watch. The following is an excerpt from the 2016 NBJ Essential Oil Report. their direct (moisturizing, cleansing) and indirect (energizing, relaxing) benefits. To meet consumer demand for products featuring essential oils, more companies are entering the space or expanding their offerings. Direct sellers like doTERRA and Young Living—companies that have traditionally dominated the category—are no longer the only players to watch, as companies in the natural retail market are investing in essential oil-based products. Chicago-based Now Foods is one manufacturer that has taken notice of the tremendous opportunity in the space. The company—which manufacturers food, supplements and personal care products—plans to expand its existing essential oil offerings while striving to keep prices down, according to Kim Wells, personal care brand manager for NOW Foods. “We are already working on expanding this line to offer a greater variety of essential oils, including pure oils, blends and organics. It’s definitely a category we continue to invest in so we can bring quality products to market that are affordable,” she says. 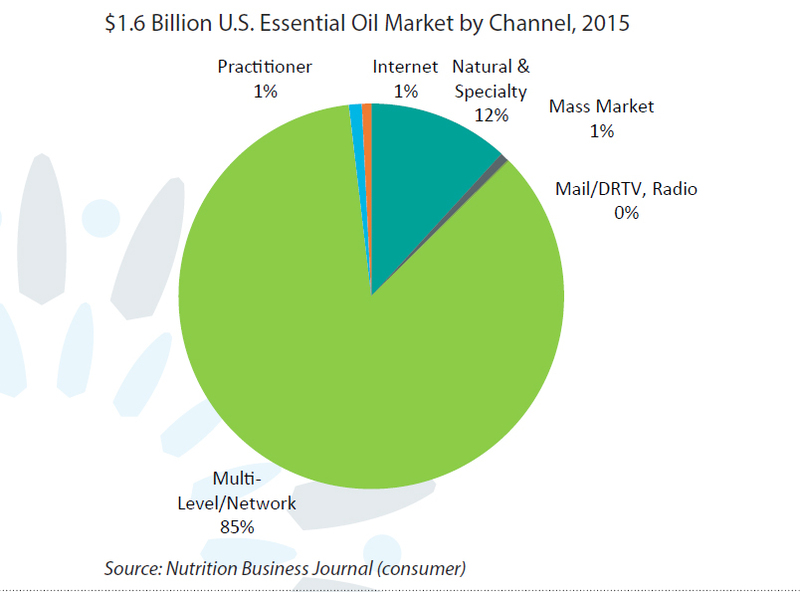 Understand the opportunity within the therapeutic essential oil marketplace and find out how to get out ahead of this rapidly growing trend with the 2016 Nutrition Business Journal Essential Oil Report. What does it mean if an essential oil is 'therapeutic grade'?